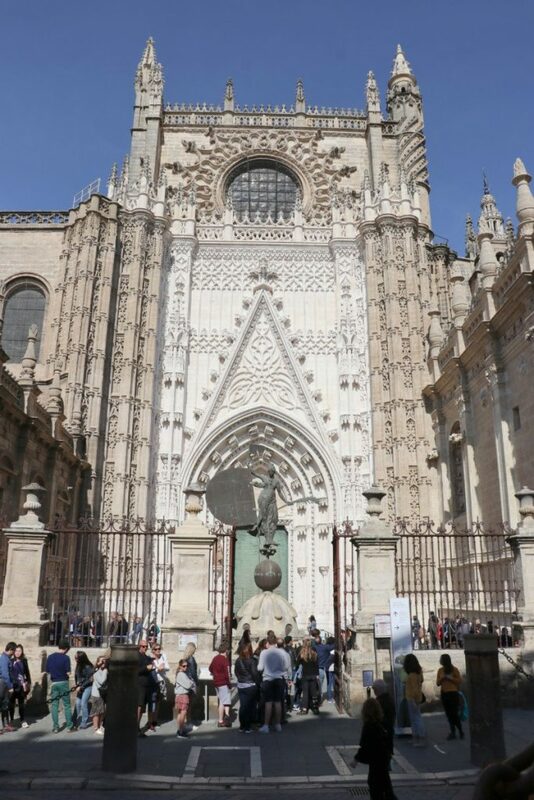 The main entrance to Seville Cathedral is next to the St Christopher’s Door. In front of the door is a copy of the weather vane that tops the Giralda bell tower. Long and slow-moving queues for tickets to the cathedral are easily avoided by buying time-slot skip-the-line tickets online and in advance.